We have been given an allocation of 1100 of which over 700 have now been sold. Tickets are on sale from the main office/Jimmy O’Connor’s office (car park at Block A of Jodi Stand) from 10am-3.30pm tomorrow and Friday. All remaining tickets will also be on sale from Jimmy O’Connor’s office after our home game against UCD on Friday. There will be no tickets on sale from Tallaght Stadium on matchnight. Do not travel to Tallaght without a ticket. 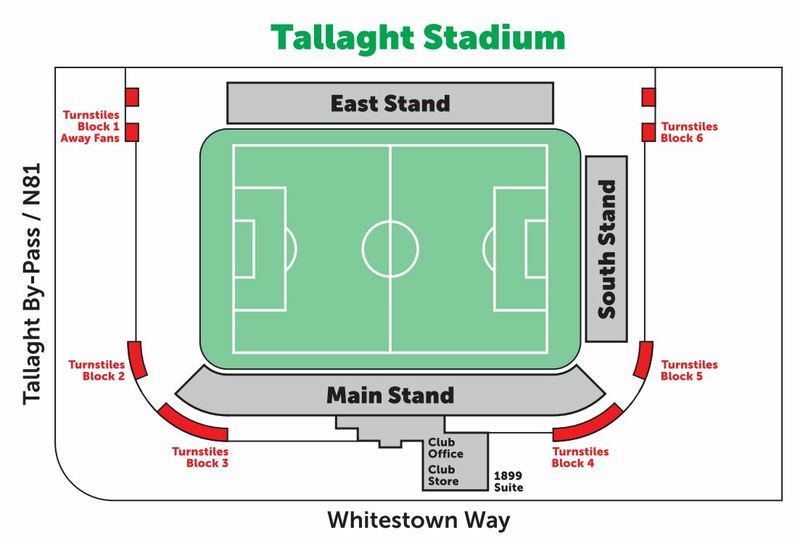 For the 2019 season all away fans will enter Tallaght Stadium via Turnstile 1 and will be seated at the North End (Square End) of the East Stand. See map below. This Entry and Exit point is beside the Blue Pedestrian bridge which goes over Tallaght Bypass/N81. Parking for Visiting supporters is in Level 3 of The Square Tallaght.  This is the only designated parking for visiting fans cars and small minibuses.